One evening at twilight, on the deck of a cruise ship in the Aegean, I bumped into newlyweds from the USA who had recently been stationed in Germany. They told me they chose this budget cruise line for their first European vacation. They were big fans of our Rick Steves guidebooks and TV shows, and they seemed to be smart, adventurous travelers, so I asked why they weren’t doing the trip on their own. “Because there’s no way we could possibly visit five Greek islands in a week for this kind of money…unless we slept in youth hostels and ate only groceries.” They reminded me why I was there to begin with: Cruising can be a smart choice for budget travelers. But if you want to get the best value and the best European experience out of your cruise, it’s essential to be prepared. A few years back, I went on a variety of cruises — from bargain-basement to high-end — in order to research cruising for Rick Steves’ Europe. That project resulted in our two Rick Steves Cruise Ports guidebooks (one for the Mediterranean, and the other for Scandinavia and Northern Europe); a series of travel talks on cruising, Mediterranean ports, and Northern European ports; and Rick’s brand-new public television special on Cruising the Mediterranean. Over those many cruises, it was fascinating to see how different cruise lines handled their guests…and how they made their profits. One thing became clear: Especially for lower-priced lines, the strategy is to lure you in with a “cheap” fare, then bombard you with opportunities to pay more for this and that — and before long, the total price of your cruise has doubled. Some of those optional expenses are worthwhile. But many aren’t. And some are almost criminally rip-offs. It’s our job to help you figure out which is which. This “consumer protection” mindset informed the way we wrote our cruising guidebooks, which are designed to empower travelers to take full advantage of their cruise experience, rather than the other way around. I’ve distilled those many weeks of cruising (and those two bricklike guidebooks) into these 10 key tips for wringing the maximum value out of your cruise: which things to skimp on, which things to splurge on, and how to most wisely invest your budget to turn your cruise into the best possible European travel experience. Keep in mind that everything on board is marked up. Cruise lines make no money while you’re in port; if they could, they’d keep you on the ship the entire time. That’s because when you’re at sea, you are the very definition of a captive audience. And that means that anything you buy on board will be heavily marked up. This isn’t to say that you should skip all on-board expenses — just to choose wisely, knowing that you’re paying a premium. Sometimes it’s fun to splurge on cocktail hour. But if you’re going to want a Coke as soon as you get back to your cabin, pick one up at a convenience store for $1 — before returning to the ship — rather than waiting to buy one on board for $4. 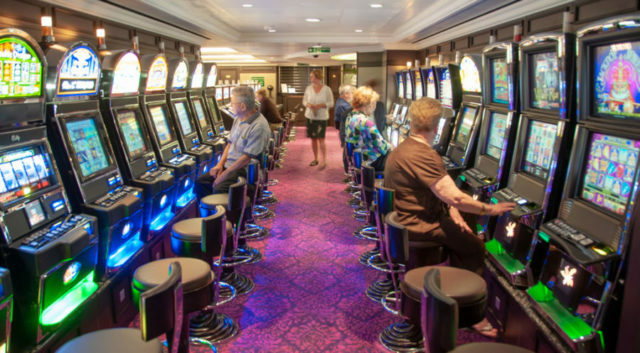 And skip the gambling, souvenir shopping, and overpriced photographs altogether; these are major moneymakers for cruise lines, and therefore, terrible values for travelers. Rather than ponying up $10 or $15 for a staged snapshot, get some of your selfies printed at Costco when you get home, for pennies on the dollar. Understand your ship’s alcohol policy. Because of the high on-board markup — as well as for liability and safety reasons — many cruise lines don’t allow passengers to bring their own alcohol on board. If you do buy a bottle of local wine, you’ll need to hand it over to the cruise line, who will give it back only when you disembark at the final port. However, increasingly, cruise lines are allowing passengers to bring a small amount of alcohol on board, often one or two bottles of wine for the entire cruise. 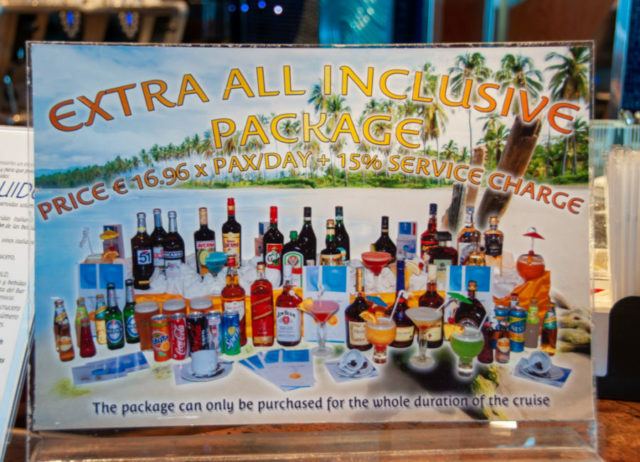 Considering that booze is one of the main profit centers for a cruise line, it’s worth it to max out on this allowance. Find out your ship’s policy, stop by a wine shop on your way to the ship (or buy it duty-free on the flight over), and save yourself some money. Here’s an example: Stepping off my cruise ship in St. Petersburg, I’d already decided to skip the $250 cruise line excursion. Out at the curb, I was quoted a taxi fare of a $25 for the ride into town. But then a public bus pulled up just behind the taxi stand — and I hopped on. 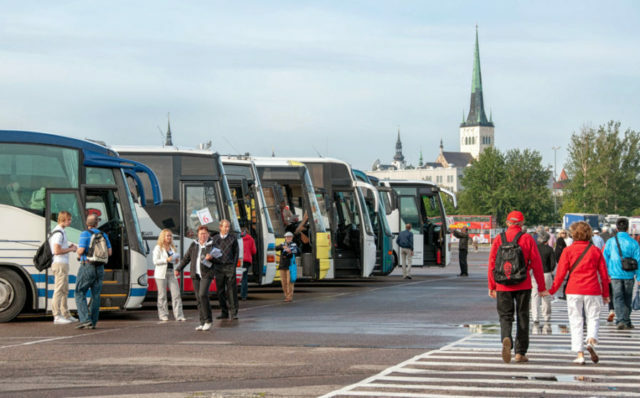 While designed for local commuters who work at the port, this bus also welcomes tourists. For $1, it brought me to a Metro stop, where — for another $1 — I zipped (under stalled traffic jams) directly to the heart of town…faster and for less than a tenth the price of a taxi. Remember: Anytime you get off the ship, you can either head for those excursion buses…or head into town on your own. The choice is yours. On the other hand, sometimes shore excursions can be a solid investment — particularly for reaching far-flung sights. Some outlying sights are a headache to connect by public transportation. For example, if you’re calling at the port of La Seyne-sur-Mer, in Provence, it’s possible to use trains and buses to reach a couple of the big Provençal sights…but that means spending part of your precious vacation poring over transit schedules. It can be much easier, less stressful, and more efficient to just let an excursion do the work for you. In contrast, in places like Naples, Tallinn, or Istanbul, where the ship lets you off a few minutes’ walk from all the big sights, I’d skip the excursions. Also, don’t assume that you have to take an excursion offered by your cruise line. A wide range of third-party companies meet arriving ships selling essentially the same itineraries the cruise lines sell, and often cheaper. Or you can hire your own private guide or driver to show you around; especially if you split the cost among four or six people, this can be significantly less (per person) than official shore excursions, while tailored specifically to your interests. Don’t be terrified about missing the ship. The cruise lines’ main motivator for selling excursions is the dire warning: If you don’t make it back to the ship by “all aboard,” we’ll leave without you — and you’ll have to find your own way to the next port. While this is, indeed, an enforcable policy, several crew members on various lines have assured me that it’s exceedingly rare for someone to get left behind. Trust yourself to manage your time smartly enough to make it back on time. (If you are perennially late, then tell yourself the ship leaves an hour earlier than it actually does.) I make a point of being the first person off the ship each morning, and the last one back in the evening…and I have yet to miss the boat. One strategy for ensuring you’ll make it back on time is to hit the farther-flung sights first, then work your way back toward the cruise port, so an afternoon traffic jam doesn’t leave you stranded in the boonies. 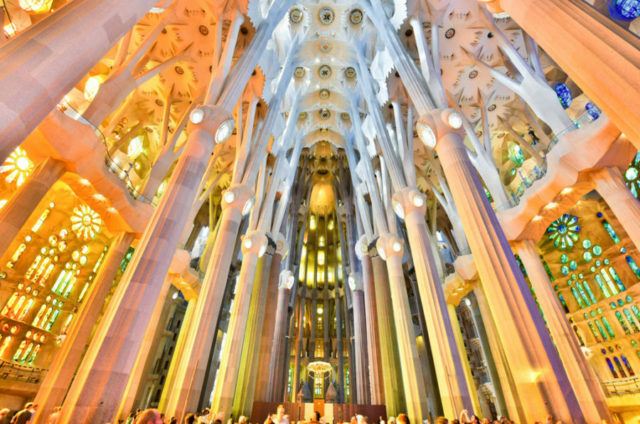 For example, in Barcelona, in the morning I’d tour Gaudí’s Sagrada Família — located in the distant suburbs — and then work my way back to the Ramblas and Gothic Quarter, which are within sight of my ship. Choose cruises in expensive places. Since your costs for accommodations, transportation, and most food are set, cruises are a particularly good value in very expensive places, like Scandinavia. It can be demoralizingly expensive to visit the Scandinavian capitals on your own — with sky-high train fares, hotel rates, and pricey meals that can add up fast. 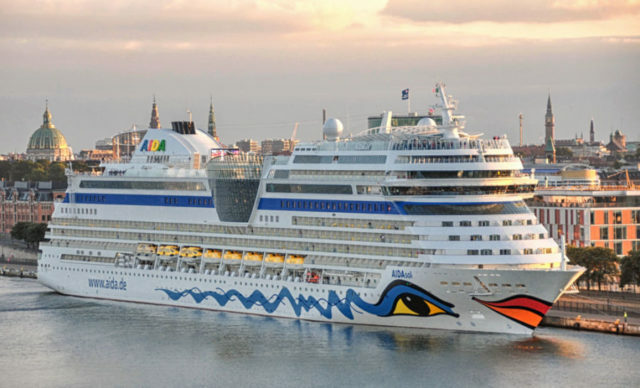 But a cruise connecting Oslo, Copenhagen, Stockholm, and Helsinki lets you experience those places for one fixed price. And each of those cities is well organized for cruises, with a port either right in the center (within easy walking distance), or an easy public-transit ride away. Take it a step farther, and challenge yourself to find something fast, affordable, and local (don’t just grab a Big Mac). 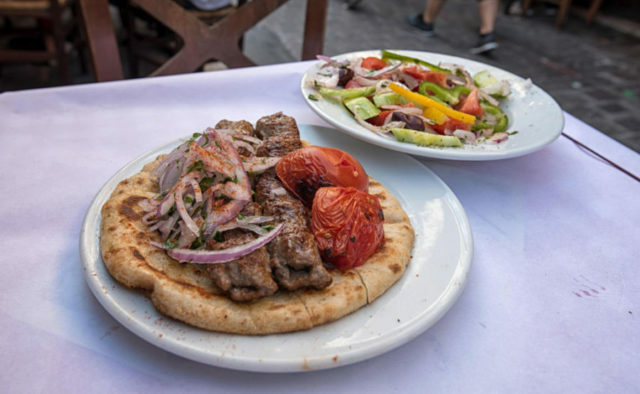 Figure out the local version of a hot-dog stand or pizza by the slice — for example, in Nice, get a socca (chickpea crêpe, piping hot from the oven); in Athens, grab a souvlaki (kebab of grilled meat); and in Venice, drop into a cicchetti bar to munch some tapas-style small plates. Don’t skimp on the tip. One place where you should not try to economize is when it’s time to tip the crew. 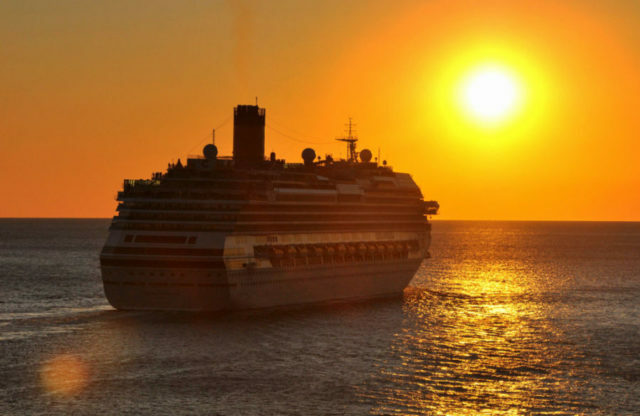 Most cruise lines “insource” low-wage workers from the developing world, who work incredibly long shifts (12-14 hours a day), seven days a week, without days off, for their entire multi-month contract. (Seriously.) They’re away from their families and working hard, and their base pay is minimal — most of their income comes in the form of tips. In an acknowledgement of how important this tip income is, most cruise lines levy an “auto-tip” that is divided among the crew. While they set a default amount (usually around $12/day), some cruise lines will lower it at your request. Don’t do it — the people working hard for you need this money. In fact, use some of the money you’ll save from the other nine tips here to fund generous additional tips for the folks who make your cruise experience so special. Shop thoughtfully…even on land. Souvenirs sold on a cruise ship are obviously marked up. But you might not realize that what you buy in port also includes a substantial kickback. Cruise lines hand out an “information sheet” for each port, listing the “recommended” or “endorsed” merchants in that town. Of course, these businesses are paying the cruise line for the privilege of being “recommended.” And in some cases — for example, the carpet sellers in Turkey — they also pay a hefty commission for anything that they sell. (When you return to the ship, you’ll hear an announcement: “If you bought a carpet in Kuşadası, bring the blue copy of your receipt for a raffle. You could win an iPad!” This is the cruise line’s way of keeping track of which carpet sellers owe them a commission.) For the best prices, do some research on your own to find better value, without the built-in cruise industry markup. In general, assume any “advice” offered by your cruise line is clouded by a profit motive. Do your homework. Most of these tips have a common thread: To have an “A” cruise, be an “A” student. If you just show up, unprepared, and throw yourself at the mercy of the cruise line, you’ll pay far more to experience far less. It’s that simple. Instead, do a little homework to wring the maximum value out of your cruise. Spend some time preparing for your trip researching online reviews (such as on Cruisecritic.com), reading up on how you can visit ports independently (in the Rick Steves Cruise Ports guidebooks, on the Mediterranean and Scandinavia and Northern Europe), watching my travel talks and Rick’s new public television special about cruising, and asking your friends and social media contacts for their best tips. There’s a vast subculture of Americans who cruise year after year, and who geek out on the ins and outs of cruising. You probably know some of them. Find them…and learn from them. Pretty soon, you’ll be the one everyone is asking for advice. Great advice but one question. A few years back my wife and I took a Baltic cruise and it was required that visitors on their own in St. Petersburg have a visa. If you were with a tour group this wasn’t necessary. Is that still the case? If so, the hassle and cost of obtaining a visa makes the tour option appealing. Yes, you’re still required to get a visa for Russia. However, the shore excursions are that much more expensive…and because most cruises are in town for two days, you wind up paying double. I still prefer to get the visa on my own, so I have total freedom to explore the city. Bob, we too were on a similar Baltic trip. We had used an organization called “Peter’s Walk” for our private guided tour around St. Petersburg. There was a couple behind us disembarking who had “no plans” maybe thinking they could just go out and explore on their own. They were not allowed to enter the country and had to go back onto the ship. Visas are a must unless you hire a private tour or utilize the cruise ship tours I think. A few years back my wife and I took a Baltic Cruise which included St. Petersburg. We booked a private tour for the two days in port which included a visa. The tours were great and much less expensive than the ships tours. You can book tours with other companies on line ahead of time. Our St Petersburg tour was more comprehensive, cheaper, and with fewer people than the cruise-line tour. I don’t remember the company, but you can look on line. The same is true for a one day Berlin tour with a different company. 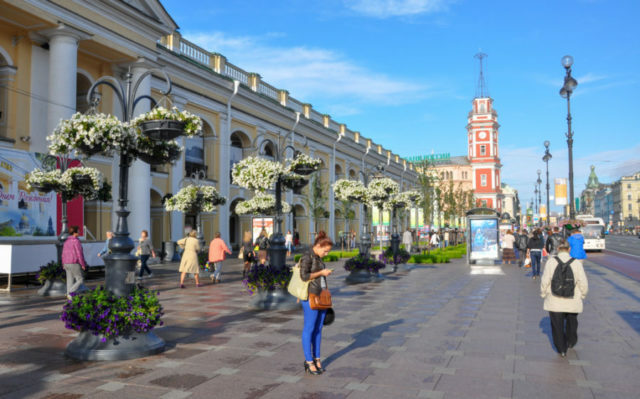 WE used Alla tours in St. Petersburg; it was a great small group tour and cost almost exactly one half of what the similar cruise line excursion cost. We were very happy with the company. They can be found online. yes, that’s true, but it isn’t that hard to get the visa. http://www.ils-usa.com can help, and for the “invitation letter” use google to find multiple sites that will sell you a letter for not a lot. also see Rick’s book for how to get into the city by public transit – really easy and cheap, and interesting! it is nice to spend the time you want wherever you are going instead of being herded with big groups. We got a big sense of accomplishment out of doing it on our own as well. Yes but higer a local guide and you do not need a visa. They pick you up at the ship, drive you into town and when you get to museums they get you tothe front of the line so you do not waist time standing in line to buy your ticketsand the wait to get in. We are going to Cuba and are told we need a Visa and a change of currency. That a Visa was bought in the RC cruise ship and change of currency can only be done in port. Can you help with these situations? I did a Cuba cruise a few years ago. The cruise line (not RC) took care of the visa; it was included in the cost of the cruise. You should check with RC and see if it is true of them as well. Change of currency is done in port, but the three ports we went to had currency changers very close to where we got off the ship. The currency changers are run by the Cuban government, so you’ll get the same rates everywhere. One thing: US dollars are charged an extra fee. If you have an foreign currency left over from previous trips, you might was to change that first. I went to Havana, Cuba in October last year on Norwegian Cruise Line and chose to have the cruise line purchase the visa for me ($75.00) – which needs to be done within a certain amount of time prior to the sailing date. On embarkation day, the visa was in my cabin with my shore excursion tickets. After you clear customs and security at the port (in Havana at least), there is a currency exchange in the same building. The line is long but moves quickly. You cannot purchase currency outside of Cuba and you cannot exchange leftover currency back once you leave Cuba. One of the best trips I’ve ever taken! We went to Cuba a couple months ago. Royal Caribbean wanted $280 Per person to tour Havana and ride in a classic car. We hired a private guide online (With great reviews)for $100 for two which include classic car ride. Bob – We cruised the Baltic in 2016, and it was still required. My memory is that the cost of the visa was about $250 per person, and you had to send your original U.S. passport off with the application. We signed up for the Cruise Critic “roll call” and found five other folks on our cruise who were interested in forming our own tour group. One of the couples had been to St. Petersburg before, and had been pleased with a particular tour company (TJ Travel?). So we contacted that company and made our own itinerary for the three days. We had a guide who taught at the University during the winters, but could make more as a tour guide during the summers, and who had been doing it for many years – along with the driver with whom she had worked for several years. They almost completely avoided the traffic/construction jams; and the tour was amazing. The van seemed to appear magically when we needed it, and everyone in our group was extremely pleased at how much ground we covered in those three days. But Cameron’s point is well taken – that was a splurge for us, even splitting the cost seven ways. However, since St. Petersburg was the primary focus of the cruise for us, we felt it was a great value. Yes, that was correct the Spring of 2018. We used a local, state sanctioned, tour company, TJ Travel, in St. Petersburg. Arranged for it via internet in advance. We saw twice as much, paid half as much and had only 12 in our group. Found them on cruisecritic.com. They provided us with the temporary Visa needed to enter the country. Just printed it out before we left the U.S.
My wife and I took a Viking Baltic cruise this past summer (June 2018). It was excellent. Because we had previously visited St. Petersburg, we hired a private guide to insure we could spend extended periods at our desired venues and skip others. Relying on Rick Steves’ cruising guidebook, we retained Timofey Kruglikov. We could not have been more pleased. For each of the two days we were in port we were picked up in a private sedan and taken directly to our site while Tim educated us on what we were about to see. At each venue we went to the front of the line. At the Hermitage we entered before the masses. I even have photos of us in an empty throne room! Tim introduced us to local, resonably priced restaurants and to an off the beaten path souvenir shop. The price we paid was reasonable given the service we received. When my family visited St Petersburg (13 of us) I had arranged for a private tour from a local tour company . We decided what we wanted to see ! The local tour guides must be licensed and you are covered by their group visa . Our guide spoke english and knew the local history and we had our own tour bus . We toured places the ship tours only drove by or stopped for pictures of the exterior only . You need to check out Viking – most of your tips are not needed if you cruise with Viking. Except tipping the staff – they deserve it and more. You pay a flat fee for the cruise, you get one included tour in each port, they don’t try to sell you anything more beyond that. 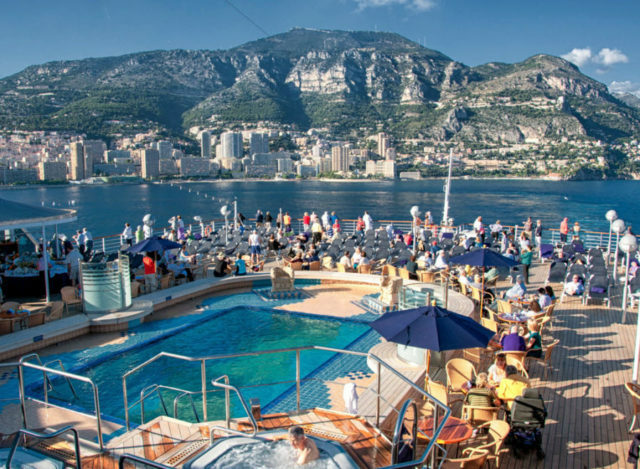 Viking is doing some ocean cruises now, but they started primarily as a riverboat cruise operator–so they work a little differently than the other big cruise lines, like Holland America, Celebrity, Royal Caribbean, Princess, and so on. Yes, we’ve been on one Viking river cruise (the Danube) and one Viking ocean cruise (the Norwegian coast), and we highly recommend them for people who want a relaxing trip with lots of opportunity for learning history and culture. No casino, no photo sales, an older clientele. Viking is pretty much as advertised in the TV commercials. Nice article. My husband I have done two Viking river cruises. Two years ago we did the Danube and this past year, the Rhine. Fabulous service, terrific included tours. When I’m going solo, I prefer bus tours because it gives me greater amounts of time in the individual places. But the river cruises allow you access to new numerous exotic locales with the arrangements made for you. But…this is a big but…to really maximize the river cruise adventure, you have to be a proactive participant, researching each site, determining what you want to see in your spare time and how to facilitate that. I used my Rick steves books in the ports in Germany, France and Austria to expand my experience. The perfect marriage of River and land trips. Cameron, this is why I love Disney Cruise Line – they don’t nickel and dime you (no charges for sodas, for example, and they let you bring 2 bottles of wine or 6 beers per person on board), there’s no casino on board so no temptation there, and they don’t try to upsell you or hassle you on anything. Our family took a DCL Med cruise this summer and it was amazing. Really enjoyed using your Med cruise ports book to help plan it. Did Barcelona and Pisa on our own, used ship’s excursions for Rome and Cannes/Monaco – good mix of independent traveling and “just take me around on a bus,” especially with children. In total agreement with the DCL recommendation. I’ve taken 6 to date. As stated there is no casino, and you can bring a good amount of alcohol onboard if you want to. Also, non-alcoholic beverages are mostly free. There are two soda and juice dispensers on deck that are free all the time, and also non-alcoholic beverages are included with your main meals. You will have to pay for soda if you go to one of the lounges or bars. Stopping by the dispensers to fill a refillable mug with lid comes in handy when going to the shows and movies. As for photos, yes there are photographers all around the ship. Tip: hand them your camera and they’ll take your picture for FREE. My biggest tip, which applies to any cruiseline, is: talk to the cast members! They have given me some of the best suggestions for things to see and do in port, how to get around cheaply, and especially where to eat! Plus I’ve made some great friends in the process, hearing about the countries they’re from, life onboard, insider knowledge on the best times and places to getaway from the hubbub onboard, and I’ve even exchanged email addresses to stay in contact. Once while knitting leisurely in the coffee shop, a cast member came over and told me how it reminded him of watching his grandmother knit as a child. This conversation morphed into all sorts of topics, and magically ended with me learning, hands on, how to make B-52 cocktail! These are the people you are spending 4 to 14, or more, days with as well. Getting to know them is highly beneficial in so many ways. We have a grandson who is on the autistic spectrum. He is familiar with the Disney ships, so when we took him (and his family) on the trip of his choice we have promised each 10-year-old grandchild, he selected a Disney cruise in the Mediterranean. We booked a private guide in each Italian port through Autism on the Seas, and were met at the ship by a driver/guide with a van to accommodate the six of us. The guides were fantastic at responding to his special requests and needs, as well as making sure we saw all of the important and interesting sights in each port. The cost was less than getting all six of us onto a bus for the ship’s tour. 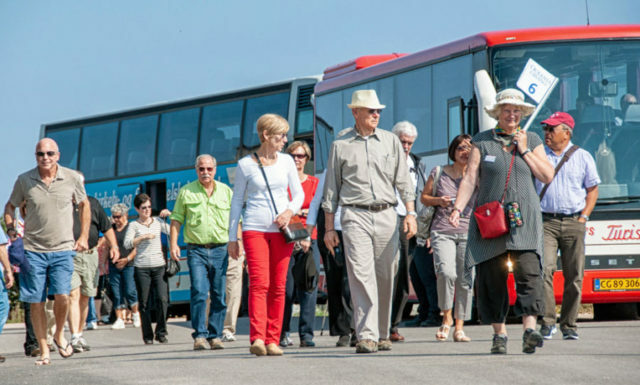 Elderhostel now known as Road scholar offers excellent value for these types of excursions. You are advised about everything upfront. Most meals, tips, entrance fees, guide fees etc. are included in the price you pay upfront at the beginning. I have taken two programs with them the second one was Greece and Turkey by cruise ship for 16 days in 2012 the total price for everything including flight and travel insurance & cancellation insurance was just over 5000 US. We had top notch guides in every city and a top-notch guide who stayed with our small group of 16 for the entire trip. Oh, and this was the singles price. Your comment about getting off the ship for lunch was good. Another advantage is that most restaurants near ports have free internet. On our Holland-America cruise down the Adriatic to Rome last summer the cost of internet was almost a dollar per minute. We thoroughly enjoyed a gelateria on Mykanos and checked internet and watched the people. We only took two tours, one in Kolokon, Greece of the original Olympics area with iPad programmed to show the buildings as they looked 2000 years ago and a tour of Pompei. We did personal tours everywhere else. Had a great time. We were thinking of a cruise that includes St Petersburg. The cruise ship has an overnight stay in St Petersburg. I was told by the cruise line that if we took their shore excursions for around $250 each; which includes two days of sightseeing and one evening, we would not need a Russian visa as long as we had the cruise ship card with us. We were told that if we ventured out on our own we would need a Russian visa which I think is around $300. Does anyone know if that is correct? We used SPJ tours in St. Petersburg for our tours for 3 days. Our cruise ship was in port two nights. They took care of the visa and the guide was excellent. Much more reasonable than the ship excursions. When my husband and I cruised to the Baltic including St Petersburg in Sept 2017, an independent visa would have been about $250 each so your price information seems correct. We used an independent company SPB Tours spb-tours.com. They were wonderful, less expensive than the ship tours with great guides. We also found a discount code on cruisecritic.com in a post from someone who was getting a group together to book with them. The tour company gave the discount to anyone who mentioned the cruise critic special. We became aware last month that cruise lines ( Azarmara) have a Crew Welfare Fund” assists crew in emergencies ie getting a flight home when there town is destroyed by flooding. In this case the cruise line kept employee on the payroll. The purchase ipads and prepaid phone cards for crew drawings. On our cruise, they treated 40 employees to a shore excursion to see the penguin habitat. While we have always given over and above the suggested gratuity, this cruise we donated $200 to the crew welfare fund to support the crew we never see or who are not apart of the gratuity split. Outstanding advice, Cameron! I’ve never been on a European cruise, but your article whets my appetite to take one in the future. When I went to Russia in 2014, a Visa was required for anything longer than a stay of 72 hours. To get a Visa we had to have an “invitation” from someone in Russia. In our case this invitation came from the tour company who organized the trip. But it could be from a company that you are doing business with, or some other source. Someone already alluded to it but DO NOT pay for the ship’s wi-fi. It is patchy and extremely expensive. A local cafe or (dare I say it) Starbucks (they’re everywhere you know!) onshore will usually supply free wi-fi. Or just wait until the cruise is over and you are back at your hotel. That is not feasible with most cruise ships anymore. We sail Norwegian and are not even allowed to bring a bottle of water back to the ship. No liquids. As to saving money by bringing wine its not a real savings as the cruise line charges $15 corkage fee on each bottle. We love cruising and found this article very informative but need to check with each cruise line. Good point on the corkage fee in the dining room or public places, but if you want to enjoy the wine in the privacy of your stateroom / stateroom balcony, there is no cost. And, your cabin steward can provide you with a cork screw. does anybody know river cruises that travel to Leipzig, zwickau, halle, eisenach, dresden, potsdam, warsaw, prague, nurnberg, wurzburg, or to avila, leon, burgos, salamanca, segovia, escorial? I am single and have cruised but resent paying the single supplement. Are there any cruise lines that do not charge a single supplement? Also, my experience is that most people on cruises are traveling as a couple or with a group I feel isolated as a single. Any suggestions on how to meet other people on a cruise ship (without being creepy)? On auto tipping, we take one for both of us, and picked the people that gave specific service to give the other tips, or more. A really good waiter, or cabin attendant, should be rewarded. are any cruises truly more afforable than bus, train , package or independent travel once excursions, flights are factored into final price along with tips or service? 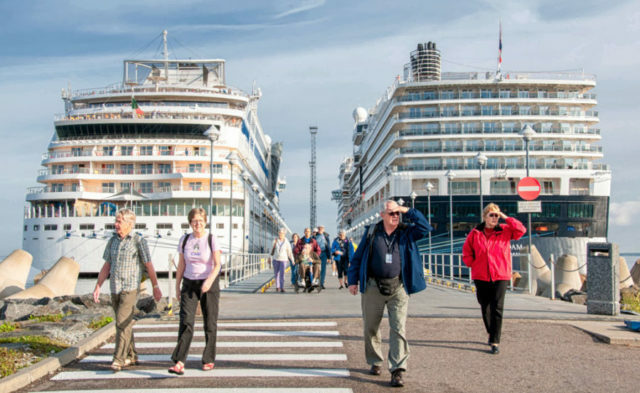 Almost all mediterranean cruise ports, excursions are almost mandatory if you dont want to just stay on the ship all day, british isles and northern europe except russia excursions are not needed as much. milan, seville, cordoba, granada, florence, rome, pompeii ercolano, excursions are virtually the only way to get to your main destination, as are paris, london, berlin. if per person you spend 200-600$ every day, really cruising is very expensive compared to land travel unless the cruise comes with excursions included. as long as you dont mind hostels , motels, grocery shopping , land travel is way more affordable. russia and turkey , english is minimal, never mind asia, and visas are required, so those destinations i would book excursion or local guide always. in st petersburg i had to use my extremely poor polish czech croatian russian combined with some italian french german and improvised sign language to communicate with tourist office, even more difficult in turkey as i speak no turkish. nobody needs a luxury hotel nor restaurant every meal. classical music , opera, ballet are life long memories even if they still qualify as splurges. art galleries, ancient ruins , palaces, cathedrals, architecture are what most tourists travel for, your bucket list, but do not neglect connecting with locals; nontheless , given our lack of wealth, hit the must sees first. packages to me take the stress out of finding afforable airfare 600-800$ round trip per p, and booking lodging 27-40€ per night per room, eating only pick up sandwiches or soups or salads from convenience or local grocery store saved us tons of money. ok , one pasta lunch, one pork knuckle is fine but not splurge every meal. yes holiday inn, best western qualify as luxury hotels, even motel 6, super 8. also consider similar sights less crowded – leopold , albertina vienna, marmottan paris, chantilly instead of versailles, doria pamphilij j stead of borghese, … why ppl wait for hours at uffizi, louvre, when alte neue pinakothek munich, Kunsthistorisches vienna are far less crowded. ?